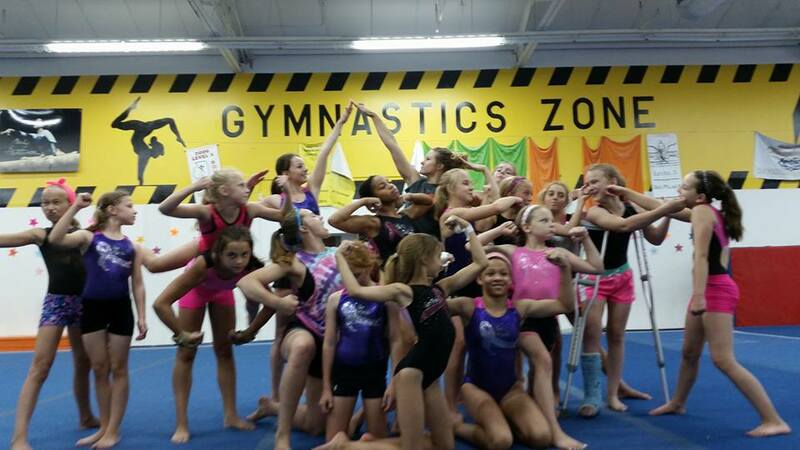 Gymnastics Zone offers a wide variety of training classes for all ages of athletes. Our class instructional program is known for the high quality and enthusiasm of its instructors. Our staff can help athletes reach their personal best. Athletes and parents are welcome to observe any of our classes prior to signing up. All of our programs follow USAG and USASF safety guidelines and progressions. From tiny tots right through to our gymnastics extreme team our instructors cater for every level of gymnastics students. This entry level class is geared toward enhancing the bond between the parent and child. This class will spark each child’s imagination and enhance body control while learning gymnastics, dance, and cheer. Students will work on our fun sized equipment in our Tumble Tykes Room. Students will work on Vault, Bars, Beam, Floor and they will occasionally take a trip to the Big Gym to work on the Trampoline. In this class students will perform skills without the aid of a parent. This class curriculum is designed for young children’s short attention span and active energy. Level 1 is specifically for entry level children. Students will work on our fun sized equipment in our Tumble Tykes Room. Students will work on Vault, Bars, Beam, Floor and they will occasionally take a trip to the Big Gym to work on the Trampoline. In this class students will perform skills without the aid of a parent. This class curriculum is designed for young children’s short attention span and active energy. Level 2 is specifically for children who are working more advanced skills and have been involved in gymnastics classes for at least 6 months or longer. Students will work on our fun sized equipment in our Tumble Tykes Room. Students will work on Vault, Bars, Beam, Floor and they will occasionally take a trip to the Big Gym to work on the Trampoline, The High Beam, and Vault. This entry level class is held in our Big Gym where all of our equipment is USAG regulation sized. This class is specifically designed for children to learn the basics of all-around gymnastics. Students will be working on Vault, Bars, Beam, Floor and Trampoline. Students will learn the basics along with progressions for harder level skills. This class is held in our Big Gym where all of our equipment is USAG regulation sized. This class is specifically designed for children who are working more advanced skills and who have currently been in our program or who have been evaluated by one of our coaching staff for at least 6 months. Students will be working on Vault, Bars, Beam, Floor and Trampoline. Students will learn the basics along with progressions for harder level skills. Students typically have a kickover and have no fear of performing skills on the high beam. Flipping Friends 2 is a prerequisite for the Mighty Mites pre-competitive program. This class is held in our Main Gym where all of our equipment is USAG regulation sized. This class is specifically designed for children who can vocalize their goals. Students will spend time on their individual goals as well as curriculum based goals. Students will be working on Vault, Bars, Beam, Floor and Trampoline. Students will learn the basics along with progressions for harder level skills. The Aerials class is a prerequisite for our Competitive Program. If your child has the desire to compete gymnastics, our staff will help your athlete attain their goal! Mighty Mites class meets two times a week for 1 hour 30 minutes each time. This extra time allows for students to focus in on specific competitive skills needed to compete. For more detailed information, talk to your instructor or stop by the front desk. Our Excel program follows the USAG rules and regulations. This competitive program has multiple levels and allows each gymnast to showcase their individual strengths. These athletes meet once or twice a week for 1hour 30 minutes. For more detailed information, talk to your instructor or stop by the front desk and ask for an Excel Team Packet. 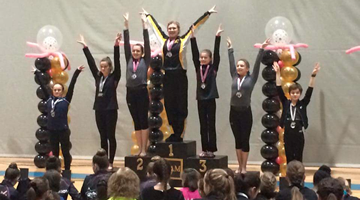 Gymnastics Zone has been producing top level athletes since 2004, including state and regional champions!! 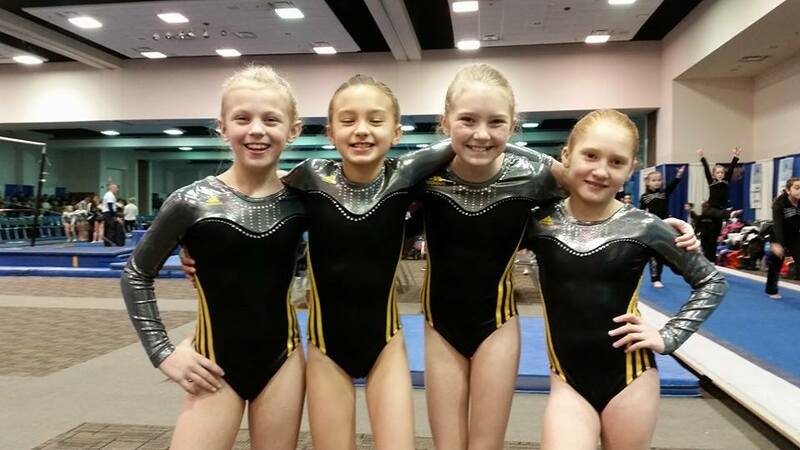 The Gymnastics Extreme leveled program follows USAG rules and regulations. Hours of training for each level vary. Come join our family of the best athletes in and around Springfield. For more detailed information about this program call (217)757-ZONE(9663) or stop by the front desk and ask for a Level 4-10 team packet. Come in and check it out yourself! Call, e-mail, or come in to schedule to attend a practice or class before you decide. You can meet and work with the staff, get a tour of our facility, view classes, talk to other parents, and more.